Create your own contemporary cushion that will become a unique feature in your home. 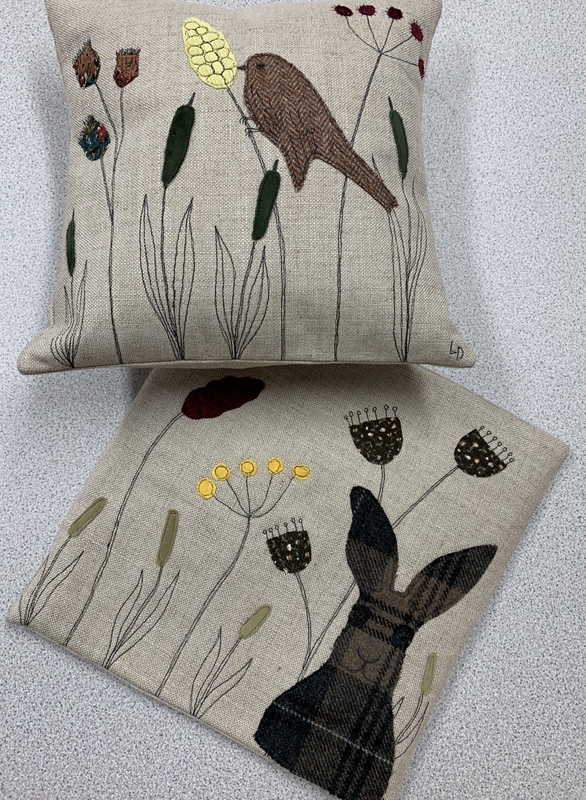 Using wildlife from the Great British countryside and the colours of nature for inspiration you will create your design using free machine embroidery. The tutor will provide ideas and resources. around freely under the needle. You will learn tips and tricks to improve your creative sewing skills. If you have some Tweed, Wool or similar fabric scraps you would like to use for your cushion, please bring them along.